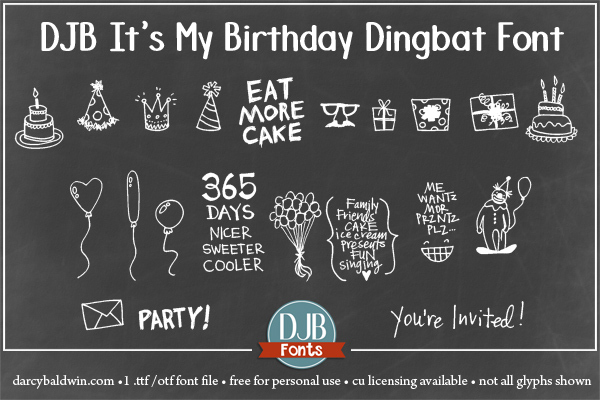 DJB It’s My Birthday dingbat font with Brook Magee! All sorts of fun dingbats in a font to make invitations, cards, scrapbook pages and more! You can also purchase the license from The Hungry JPEG or Creative Market if you want an alternative to Paypal.